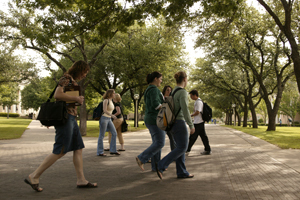 The best way to discover Austin College is to visit our campus for yourself. 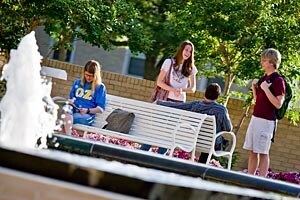 During a campus visit, you may meet students and faculty, tour the campus, and eat in the dining hall. Attend an available class and ask questions of the admission professionals who are on hand to help you learn more about campus. 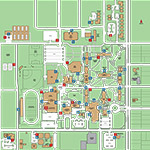 Also see Campus Information for driving directions to Sherman and a campus map for a layout of campus, including the location of the Wortham Center and available parking adjacent to our building. If you have already had the opportunity to visit campus and have not taken the time to give us your comments, please complete our campus visit evaluation. We are closed on Saturdays and Sundays from Commencement in May until after Labor Day in September. This list may not be inclusive, as there may be a few additional days which the Office of Admission is closed. Please call us to inquire at 800.KANGAROO (800.526.4276). There are some days when you may schedule an admission information session and a campus tour, but there will be limited or no access to Austin College faculty and students (therefore no class visits, no faculty appointments, and no overnight housing).